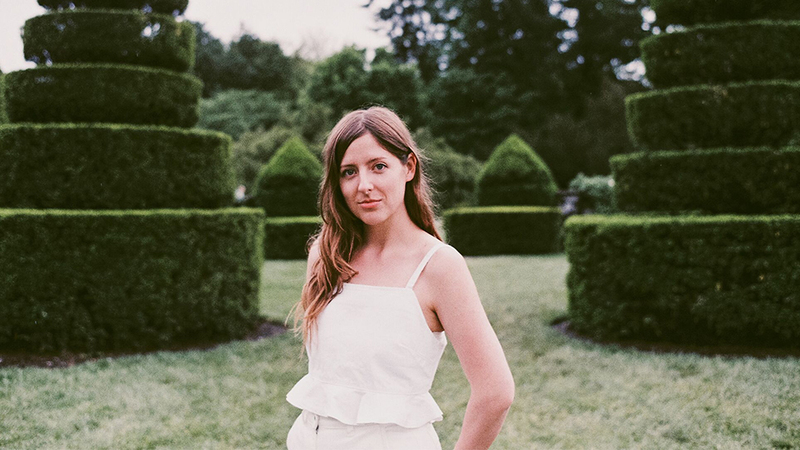 Coming to Richmond’s Strange Matter this Thursday is Molly Burch, an imposing musician with a scholarly background in jazz vocals that she channels through a strong ear for classic pop sensibility. Only a week removed from her sophomore album, First Flower, being released on Captured Tracks, she’ll bring these new, personal compositions to life on the Grace Street stage through vibrant musicality and breathtaking talent. The Texas musician made waves in 2017 with the release of her debut album, Please Be Mine, a soaring collection of songs that effortlessly move through a wistfully romantic ambience. It was a strong debut for a young artist with endless potential, something that she continues to work towards. Taking a more introspective approach, Burch’s sophomore record First Flower is a beautiful way to see an emerging artist melodically and judiciously approach the most personal subject matter of her career. 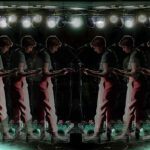 Full of nimble and intimate pop ambiance, the songs are that’s punctuated by her canny vocals in such an emphatic way that the personal subject matter unfolds itself as lovingly profound. Before her performance this Thursday, we talked to Molly Burch about her new record and the journey she’s been on since first starting out as a musician on a grand scale, a journey she’s still very much in the middle of as she continues to grow as a songwriter and performer. Your new record First Flower came pretty quickly after your debut last year. I guess so. It’s been about a year and a half since my last one. I wrote it last fall after we stopped touring and promoting Please Be Mine. I live in Austin, TX, but at that time, I had moved to a really small town about 45 minutes south of Austin to write it. I was really inspired by everything that happened in my personal life since singing to Captured Tracks and releasing my first record. Did you work on any older songs for this record, or are they all from the time spent in that town south of Austin? They’re all from a new writing session except the last song on the album called “Every Little Thing.” I wrote that probably back in 2013 when I first moved to Austin. I had recorded a different version for Please Be Mine, which we decided to take off. For First Flower, I know I wanted to re-record it and make it really simple. We had just a couple of instruments on it. What was the original version of it like, the one that got left off of Please Be Mine? It was pretty different. We had a full band and a big choir — well, it wasn’t a choir. The producer of that record, Dan Duszynski, recorded his own vocals as a choir. This time around, I wanted it to be stripped down — just really simple and focused on the vocals. How does that song match-up with the others since it was written in a completely different time and headspace? I really feel like it works better for this record. I know I wanted it to be the last song on the album because in this album, a lot of the songs are about my struggle with anxiety and my fears in general. I felt like this song was a hopeful ballad kind of that closes it better. I really do feel like it worked best with this album than my first. I like the way it sounds, first off. The alliteration. I feel like a lot of the album is about personal growth and I think that it’s kind of a nice image for the album. 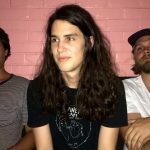 For both of my albums, I asked my boyfriend and lead guitarist Dailey Toliver what he thought. I had an idea in mind for both before I asked him, and he ended up lined up with what was I thinking for both so I took that as a sign. You mentioned your struggles with anxiety. Is this something you really tried to write about on this record, or did it just flow out naturally? It’s really the first time I ever attempted to write about it. With my first album, I guess I talk about fear and anxiety, but it’s basically just about a relationship and love. Before Please Be Mine, I found myself still new to songwriting. I just always identified more as singer and was really intimidated by the idea of writing my own songs. With this album, writing about more personal topics has helped me deal with some of those emotions, and become a better musician I think. How do you think you’ve improved? Just with practice and experience, or with attacking more personal subject matter? I started seriously writing when I moved to Austin after graduating college. I was so on my own, it was almost a necessity so I could deal with what was I going through at the time, which is such a big change. Also though, I didn’t have anyone to play with. I think it was really good move for me though. Before that, I had leaned a lot on other people to write songs for or with me, but I never wrote by myself. I think with anything, just practice and experience helps — and time. It just gets easier with time. I still have insecurities and doubt and all of that, but it has definitely gotten easier. Studying singing in college, did that make recording harder, given that you may have to do multiple takes on a single song, whereas live performances just continue on after each note? I don’t know. I really love recording. I’m not one to do a million takes. I like to experiment, but I also like to get things done too. I’m not nitpicky in the studio. I just love recording, but I do think it’s more exciting to play live though, with an audience for sure. When we perform the live too, [the songs] can just grow and we get to play with them and bring them more to life. It’s definitely been a journey and I’m still learning. It’s a weird thing to be so over-stimulated and come home. Every day is so jam-packed on tour, and then you come home and have so much isolation. But I think I’m getting better at it. Finding all the positives in it and I’m just excited that I’m able to tour and focus on my music getting better. I’m really excited to perform the songs from [First Flower] for people and really grow them the way we grew the songs from Please Be Mine. Molly Burch plays Strange Matter in Richmond this Thursday, October 11th. For more information on the show, click here, and make sure to check out First Flower, available on all platforms now through Captured Tracks. This article has been corrected to reflect the venue change from Gallery5 to Strange Matter.